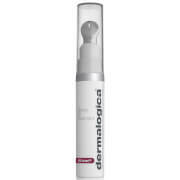 Unveil a youthful looking pout with the 37 Actives High Performance Anti-Ageing and Filler Lip Treatment. Lightweight and non-sticky, the gel serum has been expertly formulated with a complex blend of over 20 anti-ageing actives and plant-based extracts to visibly reduce the look of fine lines and fill wrinkles around the delicate lip area. A high concentration of Hyaluronic Acid works to plump and volumise, infusing moisture to alleviate dryness and soften lip texture, while age-defying peptides have a smoothing effect on creases and laughter lines. Suitable for daily use, the topical treatment effortlessly glides on and gradually transforms dry, chapped lips, providing a perfectly smooth base for lipstick. Expect a fuller looking pout without the need for unnatural injections. 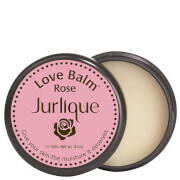 Free from fragrance, sulfates and parabens. No animal testing. Made in USA. Shake well before use. 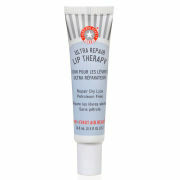 Apply to lips at least twice a day, but may be used as often as desired. Dipalmitoyl Hyroxyproline, Ceramide NG, Cocos Nucifera (Coconut) Oil (P), Squalane (P)*, Camellia Japonica Seed Oil (P), Helianthus Annuus (Sunflower) Seed Oil Unsaponifiables (P), Echium Plantagineum Seed Oil (P), Butyrospermum Parkii (Shea) Butter (P) *, Mentha Arvensis Leaf Oil (P), Butyrospermum Parkii (Shea) Butter Unsaponifiables (P) *, Canola Oil (P), Sesamum Indicum Seed Extract (P), Tocopherol (P), Rosmarinus Officinalis (Rosemary) Leaf Extract (P), Glycine Soja (Soybean) Oil (P), Cnidium Monnieri Fruit Extract (P), Solidago Virgaurea (Goldenrod) Extract (P), Sodium Hyaluronate, Ethylhexyl Palmitate, Octyldodecanol, Caprylic/Capric Triglyceride, Hydrogenated Polyisobutene, Butylene Glycol, Alcohol, Dimethyl Isosorbide, Silica Dimethyl Silylate, Pentylene Glycol, Octyldodecyl Oleate, Octyldodecyl Stearoyl Stearate. P=Plant-Based, *=Ecocert/USDA-Certified. I have been using this for about two weeks and I really love the texture of the gloss and the moisture it gives my lips, in the cold and dry NY winter. I have not found anything that is as gentle and effective as this treatment for dry peeling lips. I did not give it five stars because I have not found my lips to be more plump and I still have lines , but maybe with more time those results will show.